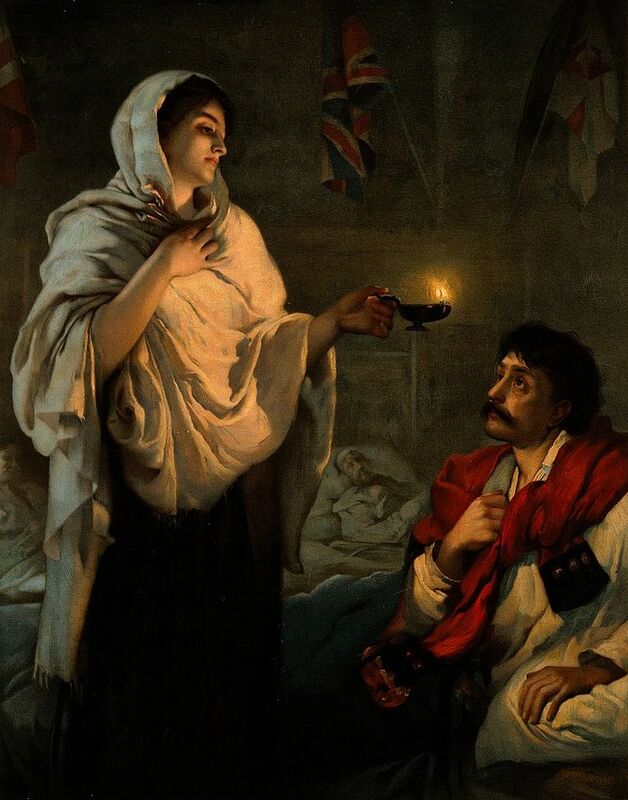 Florence Nightingale: "The Lady with the Lamp"
Florence Nightingale was an English nurse known for her work during the Crimean war. Every night, she would make rounds through the camps, checking on each soldier, earning her the nickname “The Lady with the Lamp”. She established a nursing school at St. Thomas’ Hospital in London, becoming a pioneer of modern and professional nursing. 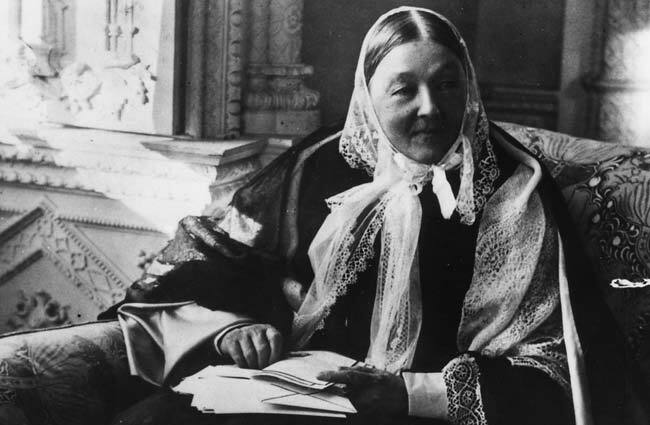 On May 12, 1820, Florence Nightingale was born to the wealthy and affluent William Edward and Frances Smith Nightingale. She was their second child, Frances Parthenope being born a year earlier. Nightingale was named for her birthplace, Florence, Italy. A year after her birth, the Nightingale family returned to England. Growing up, Nightingale lived at Embley Park in Hampshire and a home in Lea Hurst, Derbyshire. 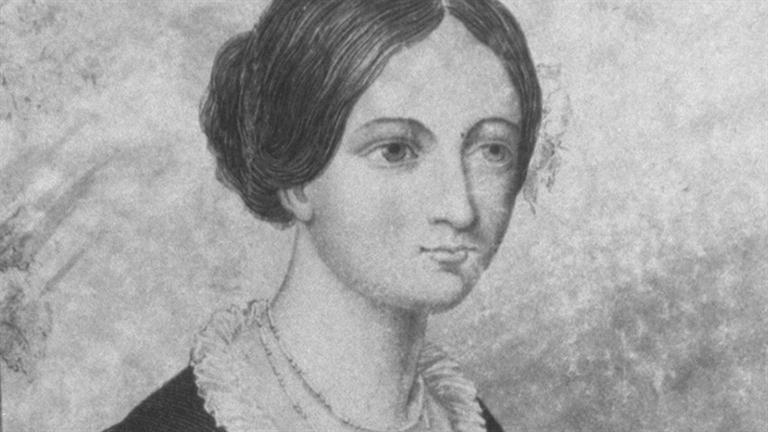 While traveling through Europe with her family in 1838, Florence met and befriended Mary Clarke, a Parisian hostess, after she had been introduced to William Nightingale. The two were twenty-seven years apart, but Nightingale stayed close friends with her for over forty years. Clarke introduced the idea to her of women and men being equal. In 1844, Nightingale made the decision to enter the field of nursing. Growing up she would often go against her parents wishes and help others in need of it, saying they were calls from God. Both her mother and sister were not happy with Nightingale’s choice to become a nurse instead of doing what she was expected to, marry and have children. It was a most uncommon choice for a woman during her time, especially one of such high social class. Determined, Nightingale made sure to educated herself in nursing. Richard Monckton Milnes had tried many times to get Nightingale to marry him, but she refused because she thought marriage would get in the way of her path to becoming a nurse. Many men tried to court her and propose, but no matter what, she always refused. Nightingale was in Rome when she befriended Sidney Herbert, former and future Secretary of War, in 1847. The two stayed close throughout their lives, Nightingale becoming one of his key advisers in politics. Herbert died of bright’s disease in 1861, and nightingale was thought to have helped worsen his health because of the constant pressure she was putting on him. After meeting Hebert, Nightingale continued to travel, this time going to Greece and Egypt with Charles and Selina Bracebridge. She wrote often during her travels writing that she was “called to God” while in Thebes. While in Cairo a week later, Nightingale wrote that “God called me in the morning and asked me would I do good for him alone without reputation”. Often times Nightingale would say that she received callings from God when there were suffering people who needed her help. She was very religious, being raised as a Unitarian. During her travels, Nightingale spent four months in Kaiserswerth, Germany where she received four month of medical training. 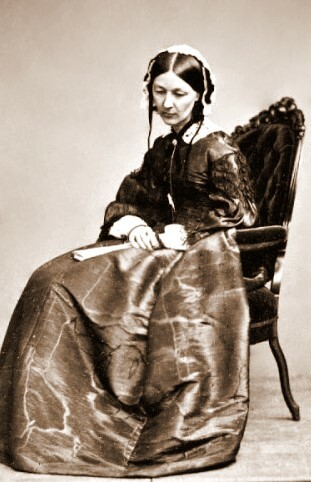 From August 22, 1853-October of 1854, Nightingale became superintendent at the Institute for the Care of Sick Gentlewomen located in Upper Harley Street, London. Her father gave her £500 annually (about $65,000 USD today). Because of the money, Nightingale was able to live comfortably in London while working as a nurse. Following her career in London, Nightingale was sent to the Ottoman Empire on October 21, 1854 at the start of the Crimean war. thirty-eight nurses she had trained and fifteen Catholic nuns also went. Mary Clarke even met up with Nightingale when they were in Paris on their way to Crimea and assisted them. In the beginning of November 1854, they arrived at Selimiye Barracks located in Scutari. Nightingale and her team realized that the nurses were overworked, there was not enough medicine, and the hospital was not kept in good condition and had terrible hygiene. 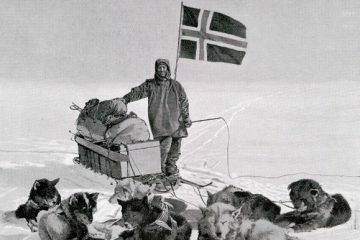 The conditions were so terrible, many men died that could have been saved. So, determined for there to be a better and well kept hospital, Nightingale plead the government find a solution to the unkept hospitals. 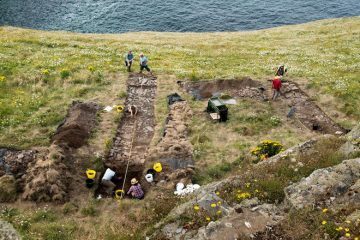 Isambard Kingdom Brunel was commissioned by the British Government to build a hospital that could then be transported to the British camps. Renkioi Hospital, Brunel’s design, was sent to the camps. Nightingale had noted 4,077 soldier deaths during the first winter she spent at Scutari. The problem was that ten times the amount of men that died from battle wounds were dying from typhoid, cholera, typhus, dysentery, and other fatal illnesses. Six months after Nightingale had arrived in Scutari, the Sanitary Commission was sent by the British government to flush out the unsanitary sewers and was able to improve the ventilation and air qualities. Nightingale is said to have reduced the death rate all the way from 42%, down to 2%. This was from her working hard to improve the hygiene, and also because she was the one who asked for the Sanitary Commission to assist her. One example of nightingale’s work to improve the hospitals was by making sure everyone washed their hands so gerMs could not be spread that way. That was not the only thing she introduced at the hospitals though. However, Nightingale strongly believed that it was more so the unhealthy food rations, bad air, overworked soldiers, and lack of supplies that made the death rate so high. Just by working to improve the sanitary conditions in the hospitals, she improved the death rates. The nickname “The Lady with the Lamp” started during the Crimean war as well. Every night, Nightingale would make rounds through the hospitals to check on the men with a small lamp in her hands. The phrase came from a report in The Times and was popularized even more in a 1857 poem by Henry Wadsworth Longfellow. On November 29, 1855, the Nightingale Fund was established for the purpose of training nurses while at a public meeting that was held to recognize Nightingale’s work in Scutari. Nightingale’s good friend, Sidney Herbert, was the fund’s honorary secretary and the Duke of Cambridge served as chairman. 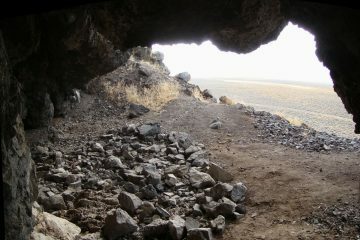 The fund received many generous donations when it was first established. Because of her help in the Ottoman Empire, Nightingale is also considered a pioneer of medical tourism. She always made sure to record health conditions, physical descriptions, dietary information, and other necessary details of all the patients she directed to get medical help from the Ottomans. 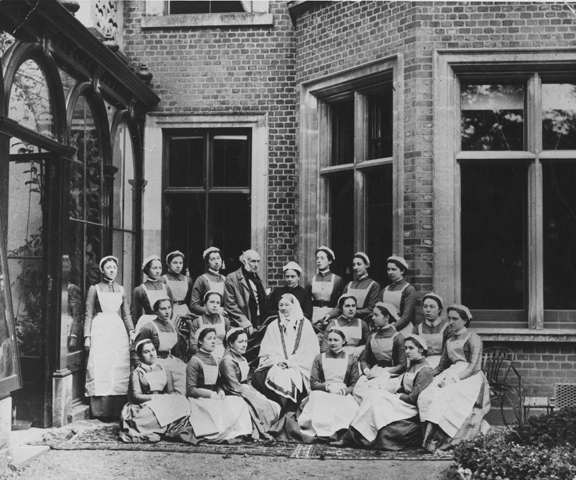 With the money from the Nightingale Fund, she was able to set up the Nightingale Training School on July 9, 1860 at St. Thomas’ Hospital in London. On May 16, 1865, the first nurses began their training from Nightingale. Today the school is now apart of King’s College London and is called the Florence Nightingale School of Nursing and Midwifery. Nightingale raised funds and campaigned for the Royal Buckinghamshire Hospital located in Aylesbury, which was also nearby her sister’s home in Buckinghamshire. Her book, Notes of Nursing, which was written in 1859, served as one of the Nightingale School’s curriculum cornerstones. It is considered today as a classic introduction to nursing, and was well received by the public as well upon its publishing. 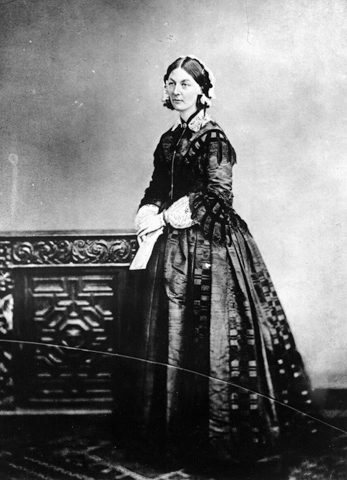 For the rest of her life, Nightingale continued to promote the profession of nursing. 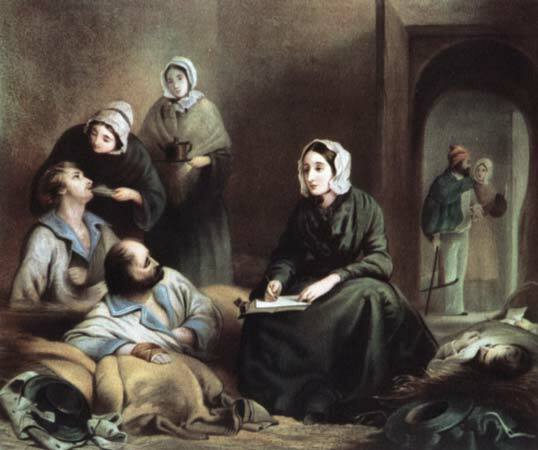 From the 1860s onwards, Nightingale had introduced trained nurses as a part of Britain’s workhouse system. This was one of her greatest achievements as a nurse. From then on, nurses would be professionally trained instead of receiving little to no training. Nightingale, unlike most people during her time, believed that it was important to wash away and get rid of any germs. Many nurses during the American Civil War were even inspired by her work. Nightingale mentored and trained many women that would go on to become accomplished nurses, one of them being Linda Richards, the first train nursed in America. Queen Victoria awarded Nightingale with the Royal Red Cross in 1883. Over twenty years later, she was appointed as a Lady of Grace of the Order of St. John in 1904. When she was awarded with the Order of the Merit in 1907, she became the first woman to ever receive the award. Nightingale was given the Honorary Freedom of the city of london the next year. Today, her birthday is celebrated as International CFS (chronic fatigue syndrome) Awareness Day. After 1857, Nightingale was often bedridden and depressed, despite her accomplishments that would follow after the 1860s. 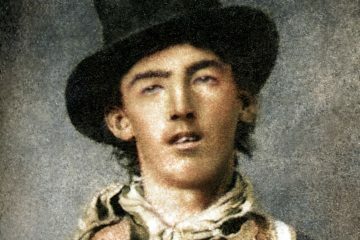 The exact reason is unknown, but recently a biography has stated it was most likely of brucellosis and spondylitis. Many believe she had just suffered through a very extreme and terrible form of brucellosis. Even when she was bedridden, Nightingale continued her pioneering work as a nurse by planning hospitals and writing. eventually, Nightingale began to go blind about ten years before her death and her health only worsened. On August 13, 1910, Florence Nightingale died a peaceful death at ninety years old in her London home. She is buried at St. Margaret’s Church in East Wellow, Hampshire, close to her childhood home, Embley Park. 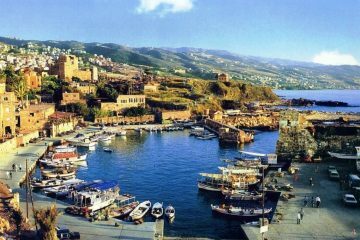 Where Was Ancient Byblos’ Harbor?